The potential consequences of global climatic change (GCC) with regard to human health have recently been the subject of numerous reviews (e.g., Leaf, 1989; Longstreth, 1991; Epstein, 1998; Longstreth, 1999). For the most part, the possibility of increased negative effects could only occur when the incidence of disease is linked to the tropics or other warm weather regions. However, it is also clear that in most locations, GCC will only affect the risk of disease if the disease already exists at that location or in a location that is geographically contiguous. There is great concern that the risk of malaria may increase with GCC in developed as well as developing nations, and it has also been contended that most developed nations that conquered the disease in the past may experience a serious resurgence. Solar UV radiation changes are considered as contributing factors to GCC. Solar UV radiation can affect human health both positively and negatively. Small amounts of exposure can be beneficial to humans and is essential for the production of vitamin D. Ultraviolet radiation is also useful for the treatment of several diseases, including rickets, psoriasis, eczema, and jaundice, under medical supervision. The benefits of treatment versus the risks of exposure are a matter of clinical judgment. Prolonged human exposure to solar UV radiation may result in acute and chronic health effects on the skin, in the eyes, and on the immune system. Sunburn (erythema) is the best-known acute effect of excessive UV radiation exposure (Lindfors and Vuilleumier, 2005). Over the longer term, UV radiation induces degenerative changes in skin cells, fibrous tissue, and blood vessels leading to premature skin aging, photodermatoses, and actinic keratoses. 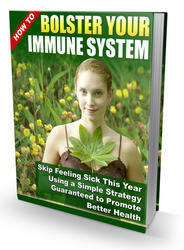 Another long-term effect is an inflammatory reaction of the eye. In the most serious cases, skin cancer and cataracts can occur (De Gruijl et al., 2003). The relationship between the exposure to UV radiation and the level of disease is shown in Figs. 4.14 and 4.15. These effects are evident in laboratory experiments. DNA damage induced by UV radiation is wavelength dependent, whereas UV-A only causes indirect damage to DNA, proteins, and lipids through reactive oxygen intermediates. 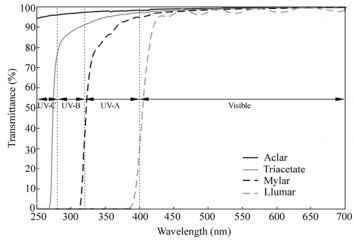 On the other hand, UV-B causes both indirect and direct damage because of the strong absorption by the DNA molecule at wavelengths below 320 nm. The most abundant products formed by irradiation with UV-B are cyclobutane pyrimidine dimmers (CPD). Experiments on bacteria have highlighted several repair mechanisms in response to UV-induced damage. These mechanisms are usually classified into dark repair (DR) and photoreactivation (Zenoff et al., 2006). On the other hand, quantifying risks for humans is difficult because the risk depends on styles of human life which evolve in the time. Nevertheless, epidemiological and experimental studies have confirmed that UV radiation is a definite risk factor for certain types of cataracts, with peak efficacy in the UV-B waveband. The causal link between squamous cell carcinoma and cumulative solar UV exposure has been well-established. New findings regarding the genetic basis of skin cancer, including studies on genetically modified mice, have confirmed the epidemiological evidence that UV radiation contributes to the formation of basal cell carcinomas and cutaneous melanomas. The animal models, for the latter, have demonstrated that UV exposure at a very young age is more detrimental than exposure in adulthood. Although suppression of certain immune responses following UV exposure has been recognized, the impact of this suppression on the control of infectious and autoimmune diseases is largely unknown. However, studies on several microbial infections have indicated significant consequences in terms of symptoms or reactivation of disease. The possibility that the immune response to vaccination could be depressed by UV-B exposure is of considerable concern (De Gruijl et al., 2003). Studies conducted world-wide have shown that excessive solar UV exposure was the cause for the loss of approximately 1.5 million days of work (0.1% of the total global burden of disease) and 60,000 premature deaths in the year 2000. The greatest damage resulting from excessive exposure to UV radiation is cortical cataracts, cutaneous malignant melanoma, and sunburn (although the latter estimates are highly uncertain due to paucity of data). Notably, a zero UV exposure would not result in a minimum disease burden, but rather a high disease burden due to diseases caused by vitamin D deficiency (McMichael et al., 2006). due to direct sun. The high albedo, for ice and snow presence, is an additional issue. Unfortunately, both residents and tourists are ill-informed in regard to the UV risks present in the polar regions. 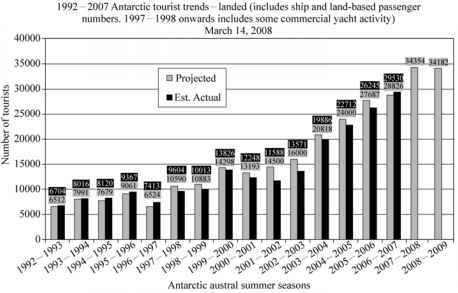 Thus, the study of solar UV in Antarctic latitudes is beneficial because the reduced thickness of the atmosphere, the clear air, and the absence of local sources of ozone at those latitudes allow one to measure the background levels with high accuracy (Pazmino et al., 2005). Moreover, the deep and rapid variations in TOC, into the vortex, promote the study of the model's response and the ability to carry out experimental campaigns on fauna and flora with varying environmental conditions useful to translate the results in countries at lower latitudes. Cataracts are a major cause of blindness. This condition can be adequately treated by surgery, but when not treated, it often leads to permanent blindness with grave social/economic consequences. For example, in 1998 an estimated 135 million people worldwide were visually impaired and 45 million people developed blindness with cataracts as the leading cause (Mariutti et al., 2003; WHO, 2008a). Epidemiological studies show that the etiology of cataracts is complicated and involves many risk factors. Taking into consideration all the risk factors, the only effective preventive interventions are to stop smoking and to reduce ocular UV-B exposure (Taylor, 1999). 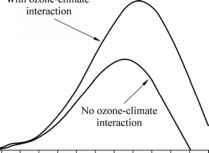 The dependence of cataract formation on the wavelength of the UV radiation is important in establishing whether increases in ambient UV-B exposure due to ozone depletion will have an impact. Cataracts in humans develop slowly with age, and the process is difficult to investigate experimentally, especially in human subjects, but can be done with the use of isolated lenses and in animals. The problem with these experiments is that the cataracts are induced in a matter of hours, days, or weeks. Careful comparisons show that the commonly UV-induced anterior subcapsular opacification in animals is not adequate for modeling the age-related cataracts observed in humans. The wavelength dependence of cataract formation can be inferred from the basic mechanism; however, the knowledge currently available on this subject is still inadequate. It is essential, therefore, that the study of dosimetry is utilized, particularly personal dosimetry, thus facilitating an increased knowledge of the damaging effects of UV.